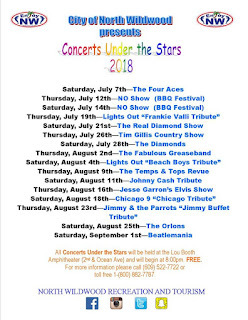 North Wildwood announced the schedule for its 2018 Concerts Under the Stars series tonight on its Recreation & Tourism Facebook page. 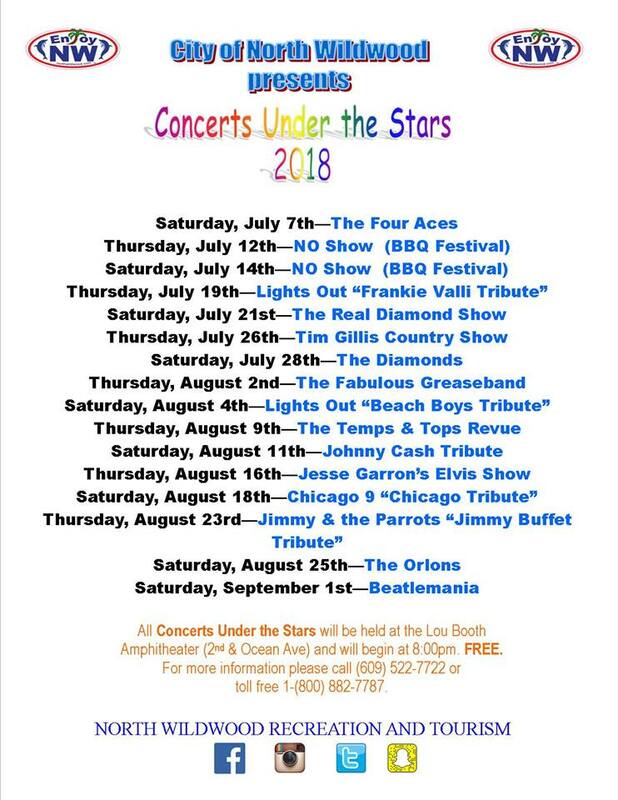 A staple of the island's summer entertainment scene, concerts will return to the Lou Booth Amphitheater (2nd & Ocean) on most Thursdays and Saturdays, from July through Labor Day Weekend. The 14-show series kicks off on Saturday, July 7 with The Four Aces and concludes on Saturday, September 1 with the traditional Beatlemania show. Many yearly favorites will return, including Chicago 9 (July 21), The Diamonds (July 28), Real Diamond (August 18) and Jimmy & The Parrots (August 23). All shows are FREE and begin at 8 pm. For additional info, call 609-522-7722 or 1-800-882-7787.